Over the years, Dr. Phillip and Betty Baker have realized the library was a good resource. “We use the resources of the library and like the staff. 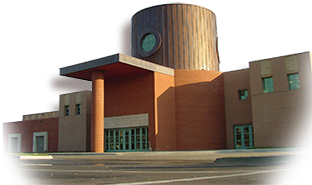 We decided the library gave us so much we wanted to give back,” stated Dr. Baker in a recent interview. It was in 2007 the Baker’s made a gift for the genealogy center. The Dr. Phillip and Betty Baker Genealogy Center is located in within the Topeka Room on the second floor of the library. The entire area is set aside as a space to focus on research. Dr. Phillip Baker, a retired orthopedic surgeon, has always liked history and is working on their families’ history. He has already written several volumes which include biographies, photographs and captions. His books are registered with the Library of Congress and are copyrighted. In 2009, the Baker’s joined the foundation’s planned giving program, the Edward and Mary Wilder Society. The Baker’s decided they wanted to leave an estate gift to support the genealogy center. The planned gift will ensure the programs, resources and services of the library for the genealogy center will be available for future generations to depend on and enjoy. baker, genealogy, topeka room, Why I give. Bookmark.